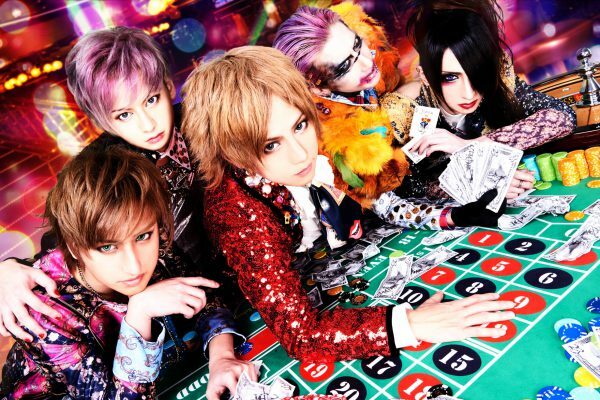 Lolita23q Announces New Releases For Spring | VKH Press – J-Rock & Visual Kei Coverage Worldwide! Lolita23q are back in the music scene after being on hiatus for a few years, and after holding their first one-man live earlier this month, they announced that they will be releasing a few things soon! The first release will be a new single, called Joker Game (ジョーカーゲーム), and it will be on sale March 22. It will come in one type and will cost 1230 yen. It will come with a CD with 3 songs. Also to promote their first single back, they will have an in-store event at Tower Records Shinjuku on March 26. For more details about the event, you can see them here. The second release will be a live DVD of their revival live that took place at Zepp Tokyo. The DVD is called 少女-ロリヰタ-23区完全復活記念ONEMAN「起動区」at Zepp Tokyo and it will cost 12300 yen and be released in late April. In the whole set, there will be 2 DVDs, live photos, unpublished photos, and a t-shirt included. If you are interested in purchasing the set, you can do so here. In addition to the new releases, Lolita23q will embark on a new one-man tour that will take place starting in March and their final in June. The tour is called JOKER GAME～BET YOUR 11 CARDS～. You can view the complete tour and details here.